This four-session study for youth explores the questions: "What is grace?," "Why do I need grace?," "Does grace mean I can do anything I want to?," and "How does God's grace change my life?" 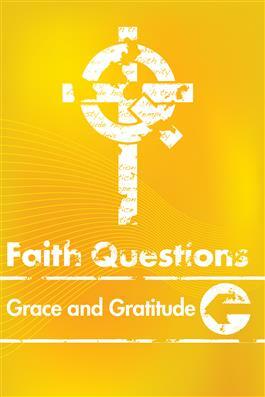 Faith Questions mini-courses are based on faith questions posed by youth. Each session encourages young people to look to Scripture, as well as our faith tradition, in relevant and responsive ways. Intended for older youth, this curriculum is easily adaptable for broadly graded youth programs. Christianity and . . .